A Company of Many Services. Looking for a professional landscape contractor for your next project? Our company originated in the beautiful Western Washington area, making it our inherent passion to love nature! We use precision to make each project just as beautiful as the last one. The Garland Landscape team puts their all in to each and every project they take on. There are several landscape contractors out there, but our modest beginning combined with company practices is what sets us apart…our foundation is built on honesty. From warehouse employees to industry suppliers- we take pride in customers knowing exactly what is happening from first interaction to project completion. Garland Landscape is always looking for the latest and greatest in outdoor scenery design, ideas and technology. We are always looking to bring the most innovative designs to each and every one of our clients. Garland Landscape is a one-stop-shop for your residential, commercial and corporate landscape architecture and design job. We operate as a full-service landscaping company who works all year round to make your design dreams become realities. 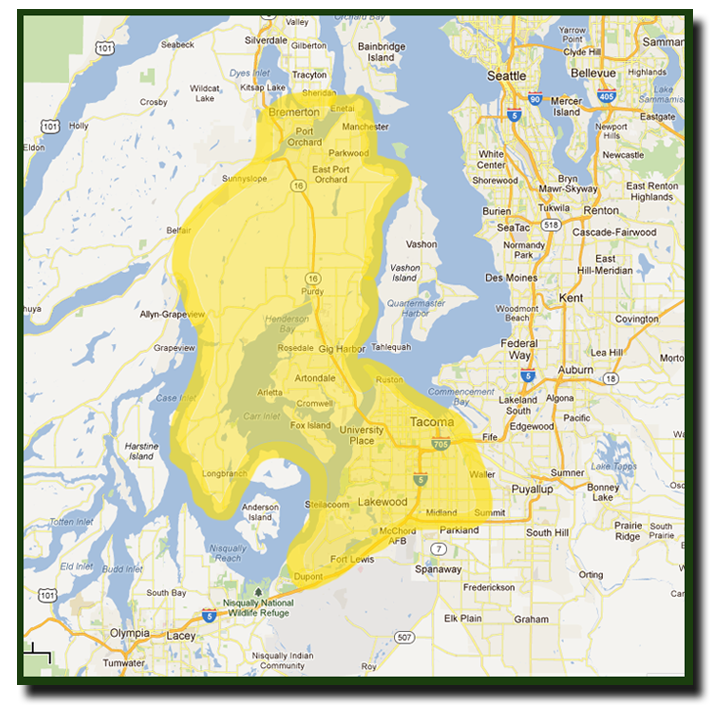 We are located in Gig Harbor, Washington but will service to the Bremerton area and as far south as Lakewood. We pride ourselves on our client satisfaction and the reputation we have achieved through our dedicated work relationships. Other landscape companies may shove clients to the side if time management is not handled properly, but Garland Landscape makes it a point to keep client conversations consistent and satisfactory. We want to not only meet, but exceed the client expectations on all levels. So give us a call to make your yard what you always dreamed it could be! After receiving three bids to totally renovate and re-landscape my entire back yard and a portion of my front yard, I will tell you why I chose Garland Landscape, LLC. The company, its owner, Chris Garland and Steven Mock, Designer/Sales Manager along with the entire crew who worked on my yard were consummate professionals. From the beginning of the project: designing a new layout, selecting the numerous plants and grasses, preparing the soil and laying the sod, in addition to a meticulous cleanup, their work ethic, responsiveness to my concerns and desires, and attention to the smallest detail were impeccable. I cannot praise them enough for a job superbly done. They far exceeded my expectations and hopes. My back yard is now a showpiece and I am so excited to show it off and use it frequently. I would absolutely recommend this company to anyone who is interested in quality professional landscaping of any size. They know their trade. Thank you for all the hard work. Dianne Haines - Lakewood, WA. We recently completed a project to extensively re-landscape our home, including the installation of a multi-tier waterfall, and couldn’t be more pleased with the quality of work from Chris and the rest of the Garland Landscape team. We interviewed many people for our project and Chris was the only one who not only understood our general goals but could design a solution and then bring it to life. The waterfall he designed exceeded all our expectations and the plants he selected for our yard were healthy and looked great. He and his crew were always friendly and polite and could always be counted to do what needed to be done. They were quick to respond to any problems we encountered and diligently cleaned our yard and street each night when they were done. I would gladly recommend them for anything from the smallest cleanup task to the most complex project—great job! BJ - Gig Harbor, WA. We have worked with Garland Landscaping on a number of occasions and have been delighted with their work. They are professional and detail oriented, and always make sure their customers are satistified. We gave them a challenging bulkhead project and they knocked it out of the park. We wanted to put in a patio that ran the length of our bulhead without using cement. The land was uneven and rocky and the path to the waterfront was narrow. Garland took a very small tractor down to the water and built a gorgeous patio on top of crushed rock and sand. Great job Garland Landscaping! I would also recommend them for irrigation and yardwork. Scott Griffin - Gig Harbor, WA. I have enjoyed working with the professionals at Garland Landscaping for more than seven years, and I have always been both impressed and very pleased with their responsiveness, attention to the details requested for a project, and their overall ability to complete all of the work exactly as described in a timely fashion. Chris Garland and his crew always exhibit a strong work ethic, particularly in regard to making the grounds appear as if nothing has been disturbed when they finish. Many times, the suggestions made by Chris and crew have proven to me that they have a real vision for landscaping ideas and techniques, and I am very glad to have them ‘in my corner’ when the need arises. I recommend them highly for both home and professional projects. Joe Faulkner - Gig Harbor, WA. I am the Landscape CoordinatorHome Owner's Board Member for one of the premier gated communities in Gig Harbor. I interviewed local landscaping businesses to take care of the community on a yearly basis. Our community needed a company that could provide a wide range of landscaping services (lawn-shrub care, annual design and planting, walkway construction maintenance, fencing and irrigation). I interviewed numerous companies and ended up choosing Garland Landscape. I have never regretted this choice and have in fact recommended the company to others. Garland Landscape is a company with character and professionalism. The company employs a professional staff that treats our community as if they live here. When a customer calls this company, they can always expect prompt service and follow-up. Due to the quality of their work, members of the community have hired Garland Landscape for private jobs and I have never heard a complaint. I strongly recommend this company and its services. Services Provided Irrigation design, repair and control Lawn and shrub care Annual design, planting and barking Pathway design, construction and repair Pathway gravel and grading Fencing and railing design and construction Please contact Garland Landscape for my name and contact information for any questions. On Behalf of Garland Landscaping: We recently sufferered tremendous damage to our landscaping in a snow and ice storm. Trying to recover what had been damaged was impossible, so we needed to find another way to try to put our yard back together. Chris from Garland Landscaping came out immediately to survey the situation. He explained in detail what needed to be done, and how it would look at completion. He wrote a detailed contract and we were ready to go. Chris coordinated not only the landscaping, but also fencing and tree removal companies in such a timely way that the project was done with no interruption to our busy lifestyle. But the best part is the finished product! It could not look any better! Many of our neighbors have commented on how it looks. I truly could not be happier with their service. Garland Landscaping is professional, timely, considerate of homeowners and neighbors alike, and the results are truly beautiful. I can not recommend them highly enough! We have lived in this home for over 25 years. We plan on retiring within the next few years and wanted to install a sprinkler system before we do. As always I started looking as to what I would like the yard to be. There was an area outside the fence that was wasted space. We have mowed it for 25 years but really nothing else. Chris Garland came to the house and I told him all what I wanted done, he also gave me ideas for things I had not thought about. This was my first Landscape project so I was not sure what the cost would be. The quote came in it was in my range even with the added things Chris suggested. As with most projects the original plan had to be altered due to city codes. Chris came up with different ideas and made it look great. 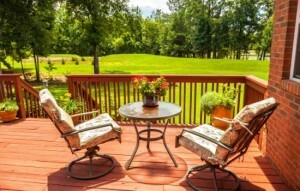 My goal was to have a yard that was easy to maintain and that I would enjoy for years to come. I have that now. Thanks to the team, wasn't the best weather and was really cold, but it is complete and I can't wait until spring. Janet Bittner - Tacoma, WA. To whom it may concern: Garland Landscape has recently completed an extension to our concrete patio. We accepted their bid because of the professional manner in which the owner, Chris Garland, made his presentation. He gave us an accurate estimate of the time to complete the job and a full explanation of the work to be accomplished. The job foreman, Andrew, was outstanding to work with. He kept us advised as the work progressed. It was necessary to excavate and handle all the materials by hand due to the location of the job. His crew went beyond the requirements of the job to insure the finished product met our expectations. We are extremely pleased with the completed job. We highly recommend Garland Landscape and will use them again when we have future landscaping needs. Jay and Peachy Smalling - Gig Harbor, WA. Chris Garland and crew were amazing from beginning to end of my project. Not only did they have great ideas, I got exactly what I wanted and then some. My project took 5 days and each day there were on time and ready to go. At the end of each day, they left the place spotless, cleaned up the sidewalks, etc. Other than the obvious, you wouldn't have known they had been there. The entire crew were polite and patient with my million questions and were just generally nice guys. Thank you Garland Landscape for a job meeting and exceeding my expectations! I recently had my backyard completely redone. I chose Garland Landscape to do the job. Chris came out and met with me and my son a few weeks prior to starting the job. At that time, I told him what I wanted my backyard to look like. I was specific in wanting to have a low maintenance yard; sprinklers, a small grass area, and river rocks in my bordering beds. I cannot express how happy I am with how it turned out. It is beautiful! John and the rest of the crew did an outstanding job. I am so happy to show my backyard off! Thank you Garland Landscape for a job well done!!! I would highly recommend them to do any landscaping job.